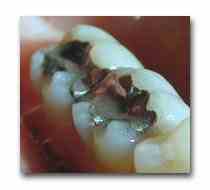 There is a theory that those of us with MS who have the old mercury fillings in our teeth, should have them removed. But, you do not want to have the mercury fillings taken out and porcelain put in. The reason is that the mercury is encased and if they break it to remove it, then it will get into your system. You need to have the whole tooth/teeth removed and replaced. I get this and it kind of makes sense, kind of. I have looked into this and it’s about 50/50. Some notice a difference in how they feel, others have noticed nothing. If I had the thousands of dollars to have this done, sure I’d do it. Even 50/50 is better than nothing. But, again, unless the mercury fillings break, they are doing no harm. I asked a highly respected dentist in Del Mar about this and I trust his word. Again, I do get it and if I had the dinero, I would do it as we know mercury is NOT good for us! Previous Post Ampyra – is it helping? Next Post Out of sorts! Wait, you’d get dentures over a tummy tuck? You crack me up! So this highly respected dentist is the one that told you there’s a 50-50 chance that you’d get completely better if they pulled out all your teeth that you would feel better? How much better is better? Back up and walking? Wow, then I’d consider it. But, another question I have, is I have heard of people who have, one way or another, gotten the mercury out of their system (after having the teeth refilled with the white stuff). So I wonder if that is an option, too. Kinda crazy what we we consider doing when we really want to be healthy. Btw, BlogHer will be in San Diego next year. Any chance you might be up for an escapade down to that party…I mean conference? I’d love to finally meet you! But, again, unless the mercury fillings break, they are doing no harm. I asked a highly respected dentist in Del Mar about this and I trust his word. <<< he says they are fine unless they break. When next year. I have family there too. August 5&6. I’ll send you a link as soon as they post more info. Wouldn’t it be fun to get a bunch of us “Chronic Babes” together for that? We could go at our own pace and just have fun…I’m definitely going to get a hotel room there just so I can camp out when I poop out…and if you want to chill out there I’d be happy to have you! Please do Kathy! It would be so fun. I’ll leave the kids at the g-parents nd the hubby and I can have small vacation! Yeah I need to change my donate button too.